In 2008, at the age of 62, I was diagnosed with younger-onset Alzheimer’s disease (also known as early-onset Alzheimer’s). Not long after, I retired after serving 23 years as the President/CEO of the Private Industry Council (PIC) of San Luis Obispo County. While I thought I was functioning well, there were ample signs a few years before, indicating not all was necessarily right with my health. Part of me recognized this, while another part of me chalked it up to work overload. In fact, I knew I was having a problem with my own self-confidence — and my 15 employees saw it more clearly, and earlier, than I did; if we are not careful, we tend to forget how intuitive employees truly are. Fortunately, we all came to a point of understanding that I needed help, and the Board of Directors and staff were ready to seek ways to retain me and keep me functioning, while also making sure we were all honest with one another, henceforth. I was recognizing changes in my own behavior: I was losing my ability to juggle multiple projects. It took more effort to decide which projects had highest priority — and, worst of all, I realized that my self-confidence as an executive was rapidly eroding. I could not find any solutions to turn that around; I didn’t know how to fix it. This was brought home directly, on a couple of business trips (by auto), when I found myself overlooking familiar freeway exits and driving well down the road before realizing I was way off course. Read Val’s experience as Lee’s care partner. All of this led my wife and I to visit the Mayo Clinic twice in Scottsdale, Arizona, in 2006 and 2007; we also participated in a battery of testing at U.C. San Francisco. I was finally diagnosed with Early-Onset Alzheimer’s on that visit (also known as Younger-Onset Alzheimer’s), with evidence of “Executive Dysfunction.” Several medical doctors, staff and students participated in that discussion, and they video-taped the discussion. It was an eye-opening experience. Back home in San Luis Obispo, we also took the time, on two occasions for me to be tested for sleep apnea, in a local lab located in our community. Outcome: “Positive.” Thanks to the technology of this remarkable invention, I now sleep better than I ever have in my life. While I am no expert in this technology, I am convinced there is a direct (negative) relationship between sleep apnea and potential damage to the brain, over time. Several months later, when this all sunk in, I resigned myself to accept this fate — over which I would have zero control. But, I also have been able to put a face on Alzheimer’s in our local community, by being an advocate and local voice. I have written several “Viewpoints” and “Commentaries” in our local Tribune newspaper. I have formed a close relationship with our local Alzheimer’s Association Chapter Office and its staff, secured a seat on the three-county Chapter Board of Directors, and also accepted an appointment to the Alzheimer’s Association Early-Stage Advisory Group (ESAG) for the 2011-2012 year. This participation, in turn, has opened more new doors with the National Office of the Alzheimer’s Association in very positive ways. I am well aware there is no known cure for Alzheimer’s. It’s a given, for now, and I refuse to spend much time worrying about it. I prefer to be matter of fact with regard to my diagnosis and I spend more time out in the community and working with the Alzheimer’s office to support them in their work. If there is anything I worry about, it is my family. Family and friends are the best medicine that any of us will have, in a journey such as this one. Read about Val’s experience as Lee’s care partner. 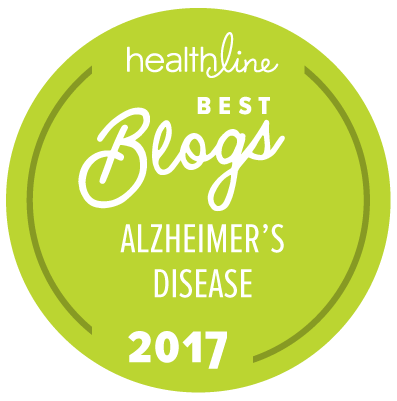 Blog author Lee Ferrero is a member of the national Alzheimer’s Association 2011 Early-Stage Advisory Group. He is eager to put a face to Alzheimer’s and alert individuals, communities, the media and local organizations about the critical need to act on this disease and help find a cure. Lee lives in Los Osos, California, with his wife, Valerie. Lee and Valerie have two children, Jennifer and Eric. They take great delight in spoiling their grandson, John Ferrero Stout.